It’s time to give some bugs and kisses! Uh – we mean hugs and kisses…. Or do we?! 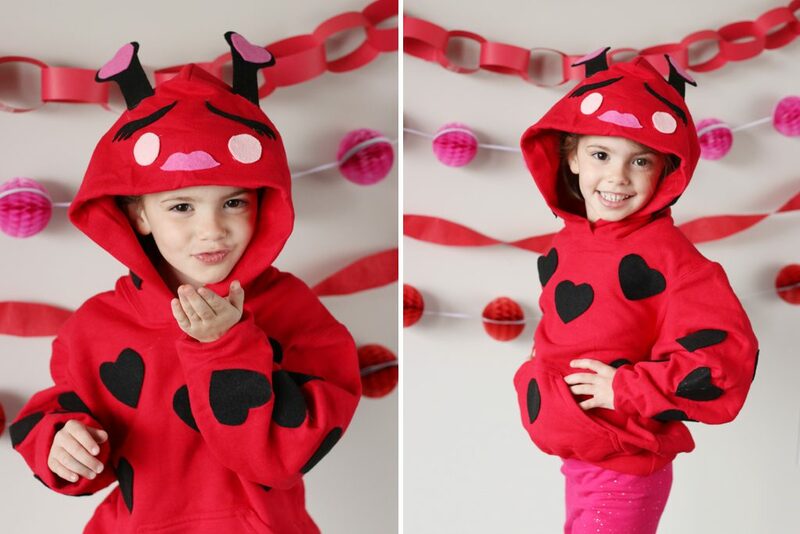 Get in the lovey dovey spirit of Valentine’s Day including what you wear! 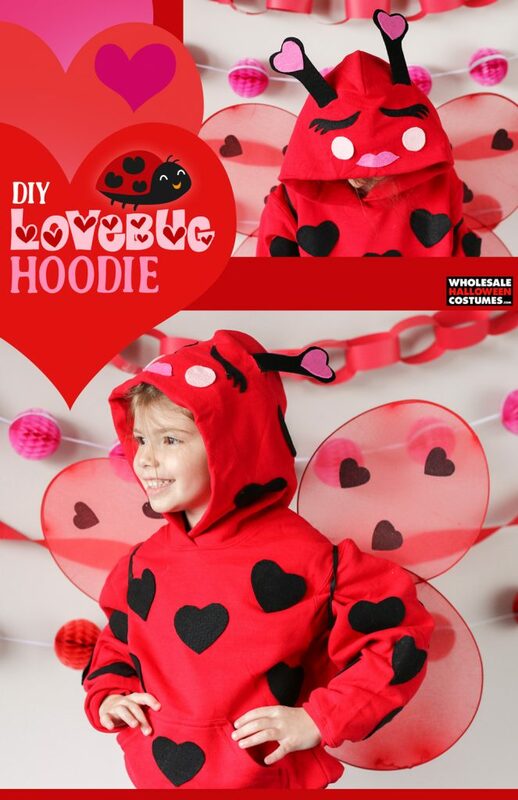 Grab your fabric scissors and see how to turn that red hoodie left over from Christmas into a DIY love bug hoodie perfect to keep you warm and cozy this Valentine’s Day! 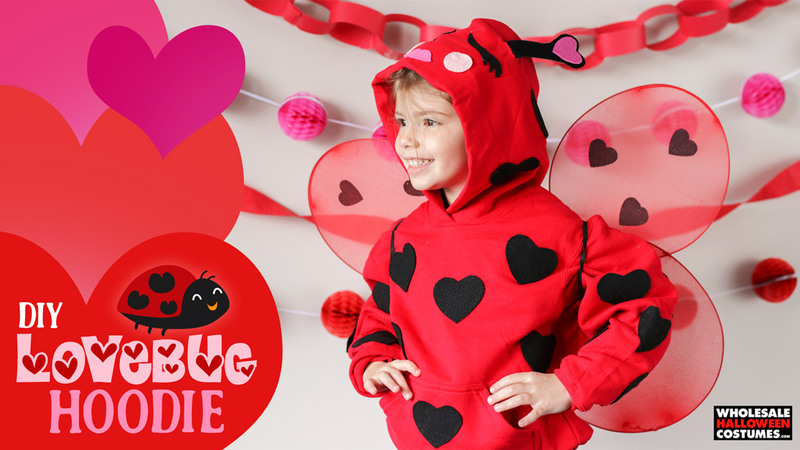 Friends will be a flutter when seeing your heart filled winter wear that matches perfectly to a pair of ladybug costume wings from Halloween! 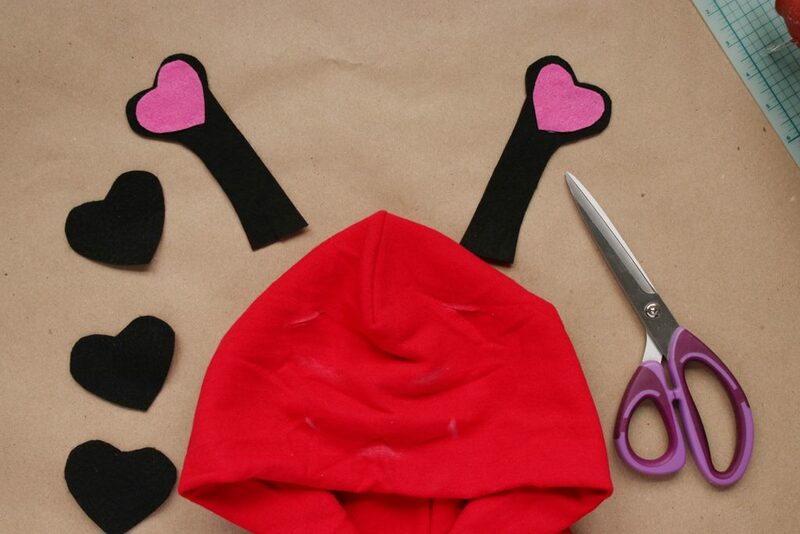 Cut out all the shapes from the love bug shapes template. 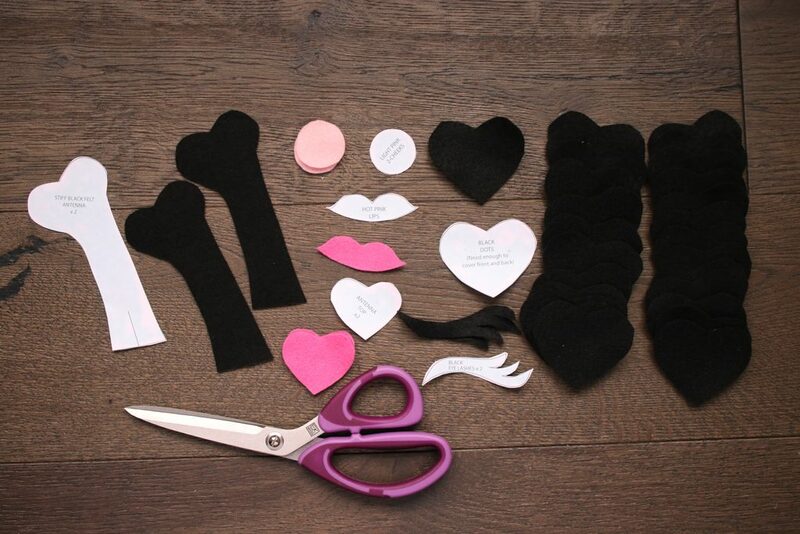 Trace and cut out these shapes on the coordinating pieces of felt. 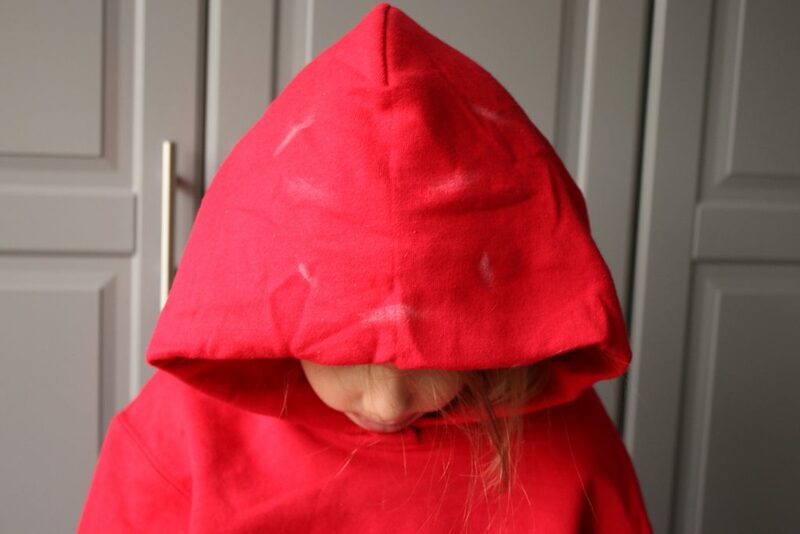 Put your hoodie on and use chalk to make markings on where the antennas will go. Snip holes through only the top layer of the hoodie. Begin gluing the pieces together before adding to the hoodie. Layer a light pink heart on top of the black antennas. 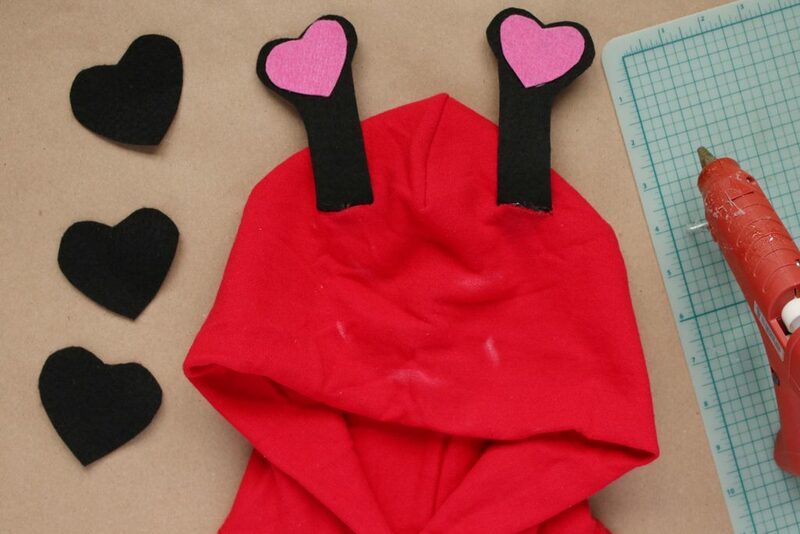 Tip: Make sure the antenna shapes are mirroring one another before gluing on the heart! Insert an antenna inside the hole and spread the bottom tabs out, using hot glue to secure in place. 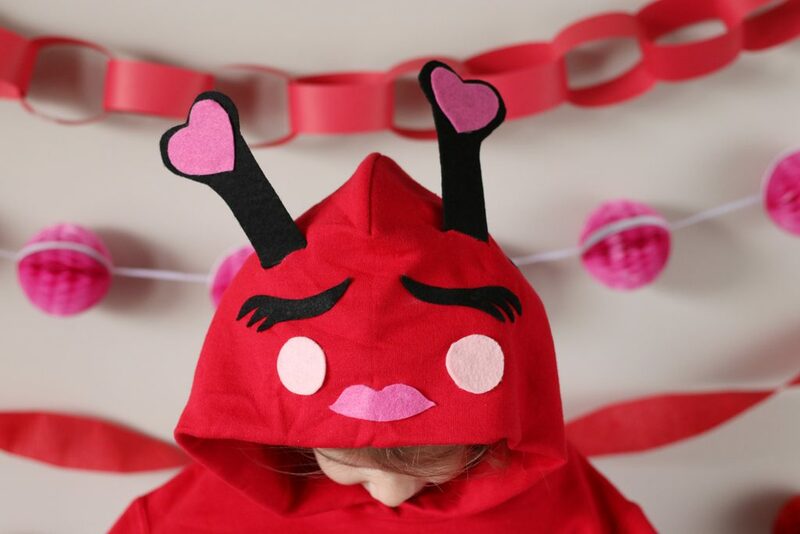 Use fabric glue or hot glue to apply the eyelashes, rosy cheeks and hot pink lips to the hood to complete the love bug face. 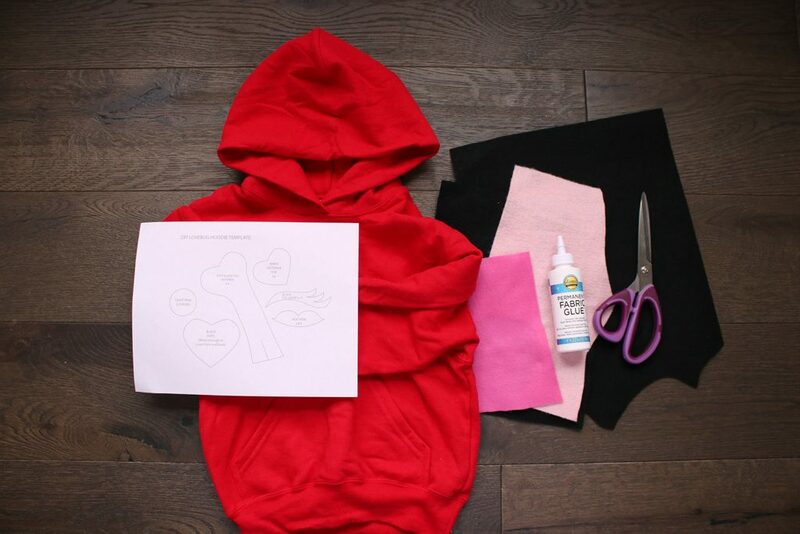 Lay your hoodie flat and place the black heart shapes in a pattern you desire. Use fabric glue or hot glue to secure in place. 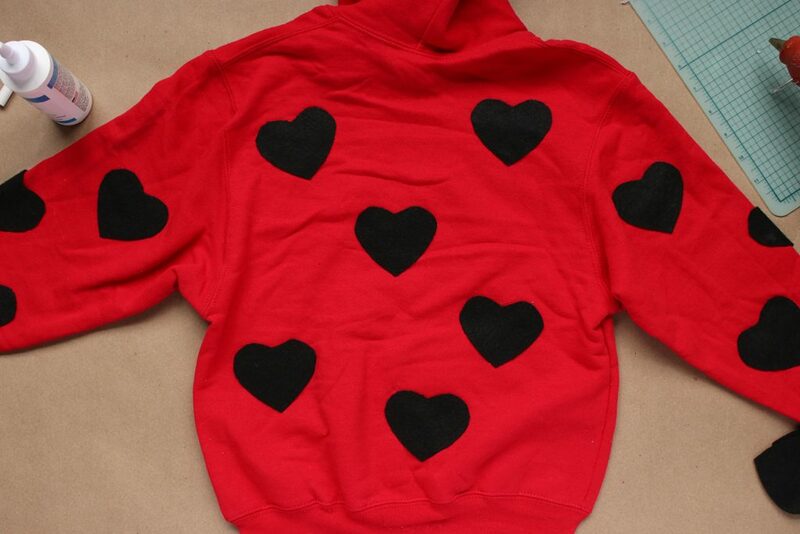 Once dry, flip the hoodie over to add black hearts to the back. 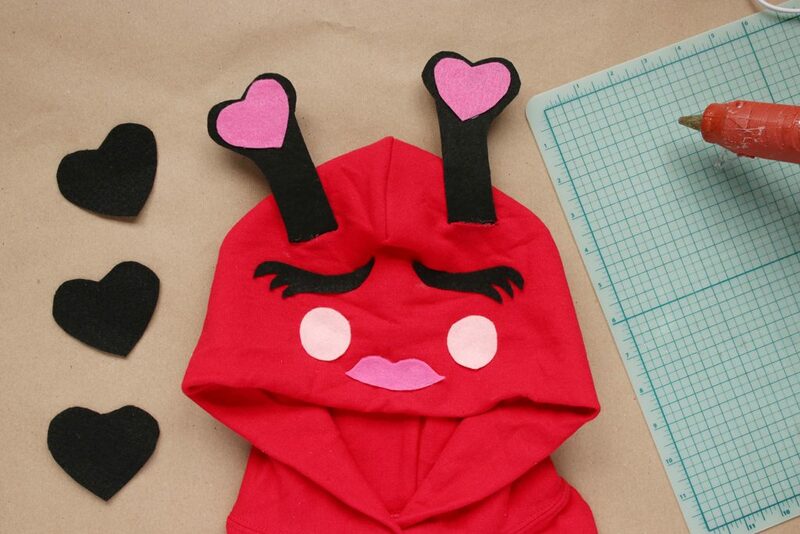 Grab your stack of Valentine’s and be ready to pass them out to friends in style with your DIY Love Bug Hoodie! 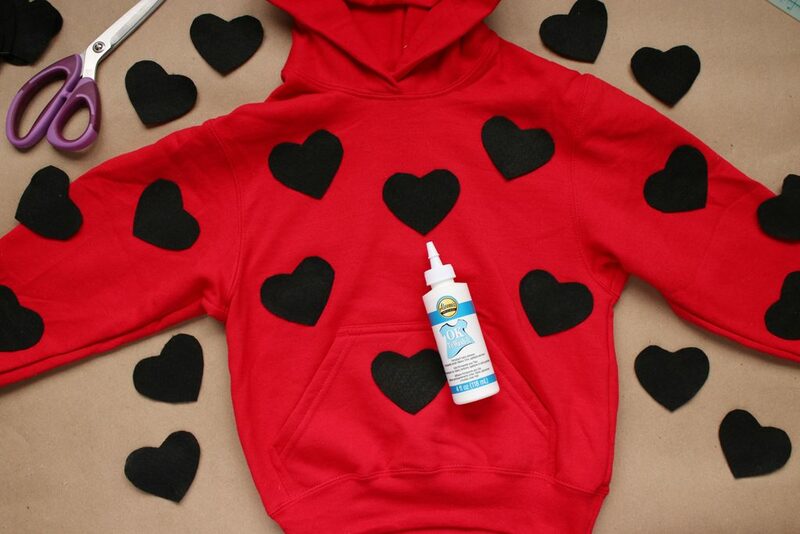 Pair this DIY hoodie with ladybug wings for a costume with heart! 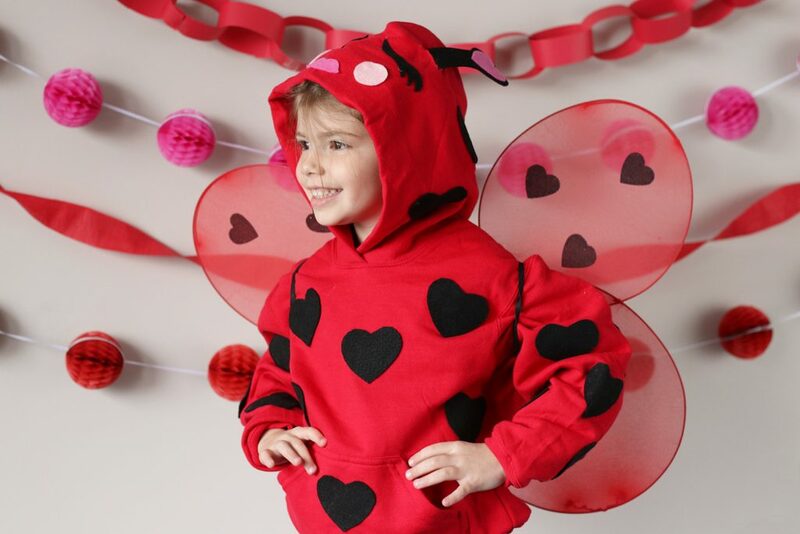 Browse through the rest of our insect costume ideas on our site to grow you swarm.